Seven trust is an outdoor wood plastic composite decking manufacturer and provider engaged in wood plastic composite industry for many years, products are sale more than 100 countries, our products can be made into the different size, color according to customer demand, hot-selling products are flooring, wall panel, fence, boat deck and etc. First, because the outdoor wood plastic composite decking plasticity is very strong, easy clean and maintenance, reasonable structure, easy to use. Seven trust wood plastic products are produced with foreign advanced technology, according to user needs, providing high-quality products and first class services. Secondly, WPC have waterproof ,durable, insect control and other features, but the ordinary wood material must add harmful ingredients such as formaldehyde, but wpc is safety and environmental protection, create a healthy environment, which is why so popular reasons. Finally, outdoor wood plastic composite decking also has excellent anti-aging properties, after many years, not fade without deform. 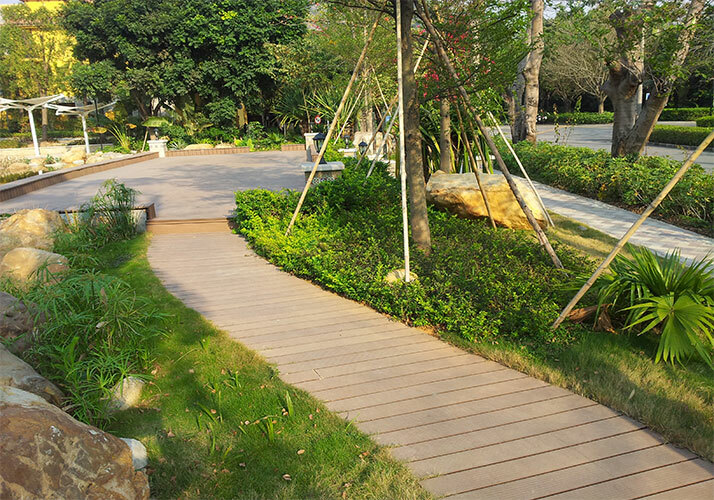 With the improvement of the life quality and enhance the awareness of environmental protection, as a new environmentally friendly wpc decking used in the home improvement field has a broad development space, in the future wpc decking has become one of the key directions of development.